Yesterday was a very fine day indeed! 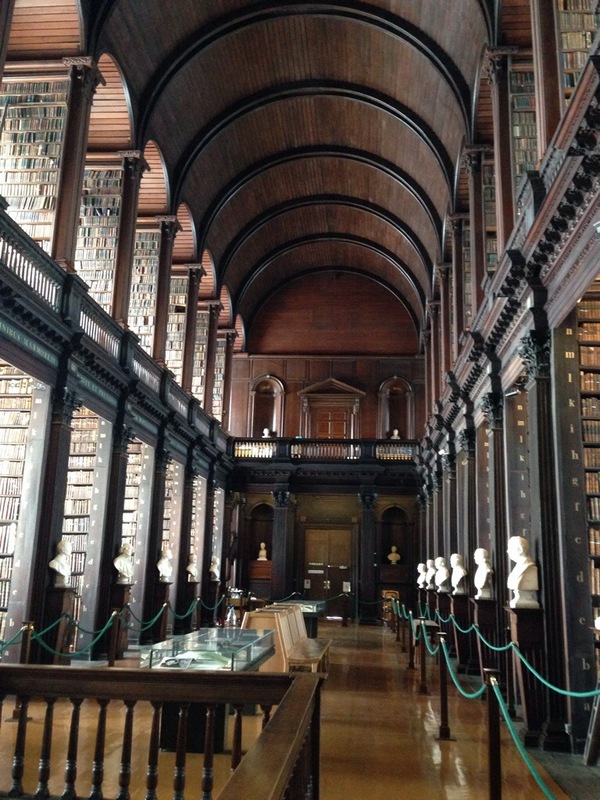 We met up and made our way through the Book of Kells exhibit in the Old Library at Trinity College. History within history within history. 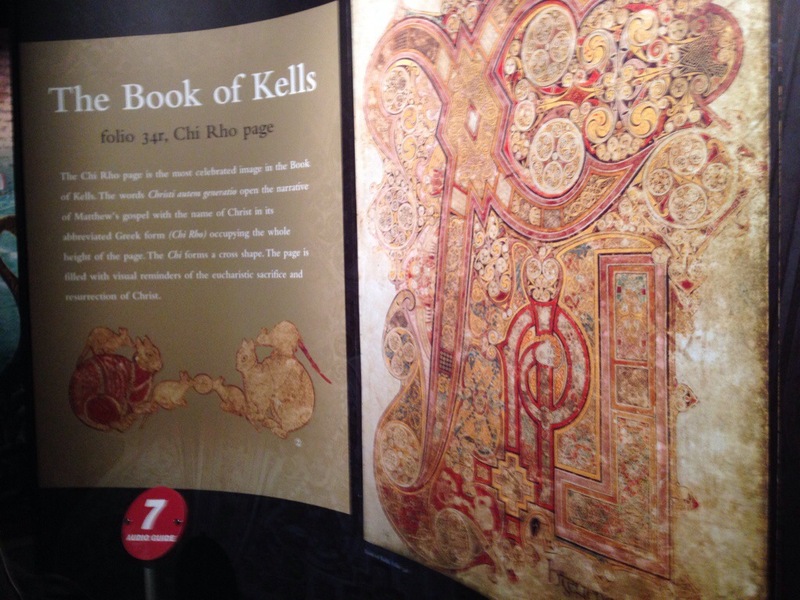 The Book of Kells is an illuminated manuscript of the four gospels that “represents evidence of a scholarly and artistic culture of the highest achievement.” (Killeen, 2012) There’s more on it here. 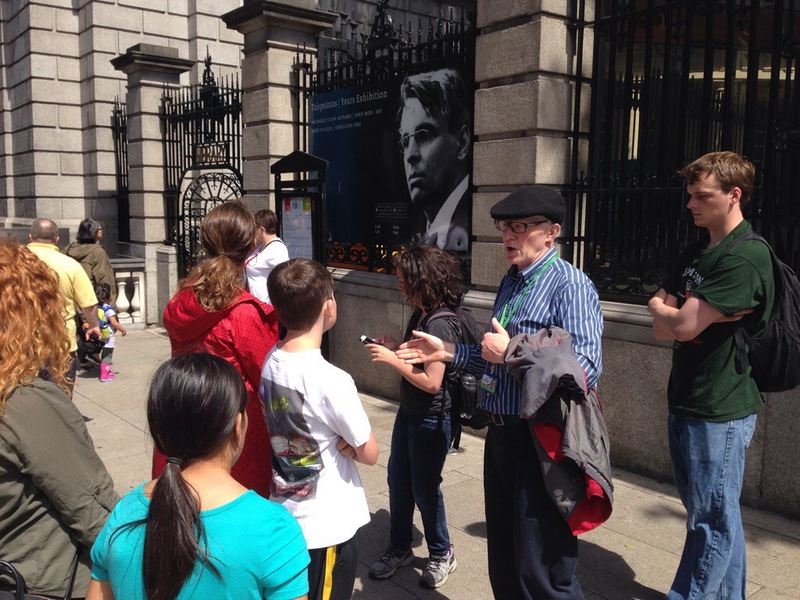 After that we were led on a walking tour of Dublin by Sean Finnigan, a Dubliner of many years. 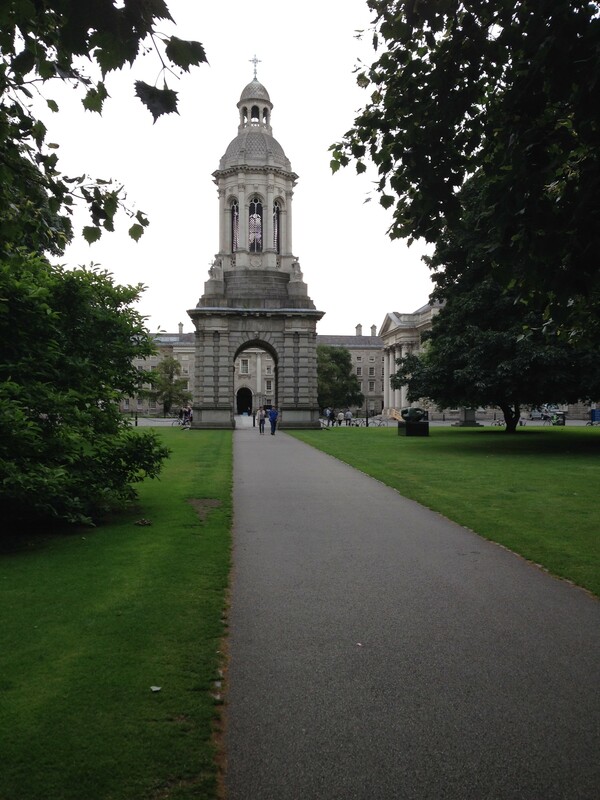 On that tour we learned about the history of the south side of Dublin, passing through Trinity College (where we heard some anecdotes about Oscar Wilde and Bram Stoker, as well as a few other former students at Trinity). 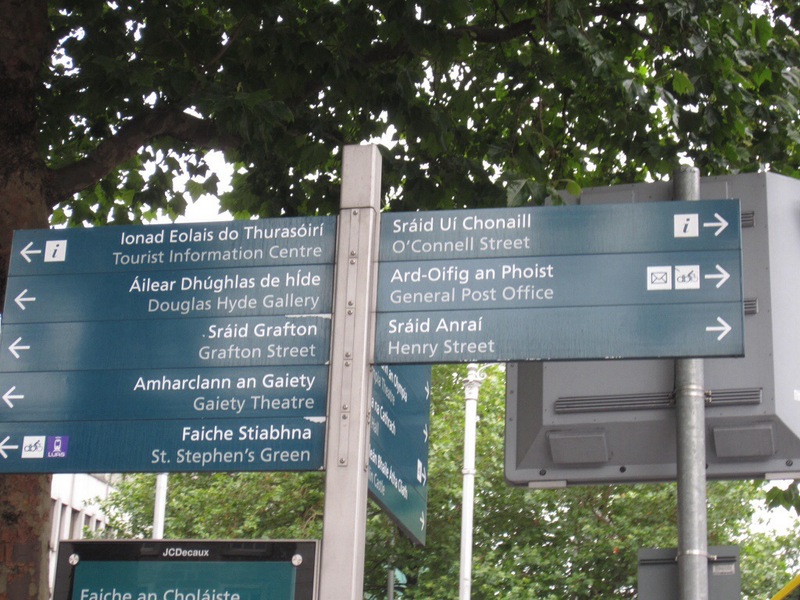 From there we walked through the city soaking in what we could about Irish history and culture. 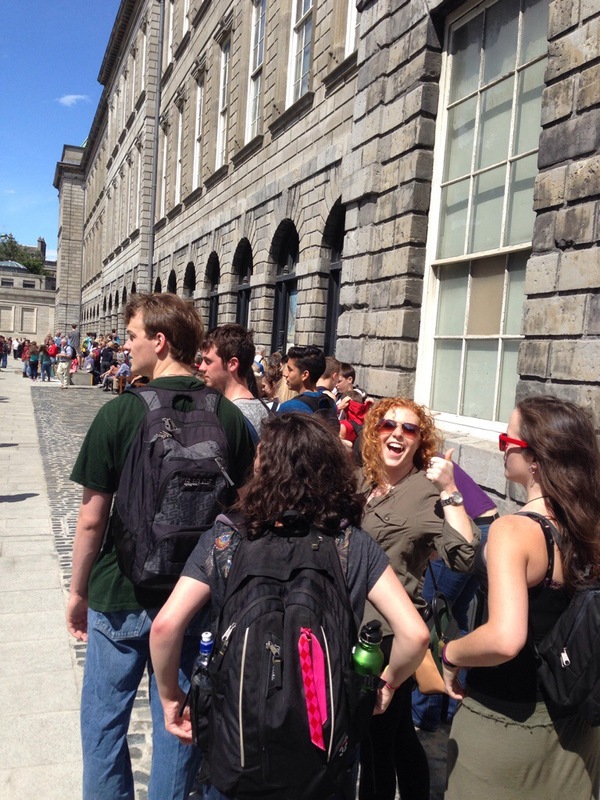 Perhaps the most interesting point of the tour came at its end (2.5 hours into it!) in the old House of Lords. 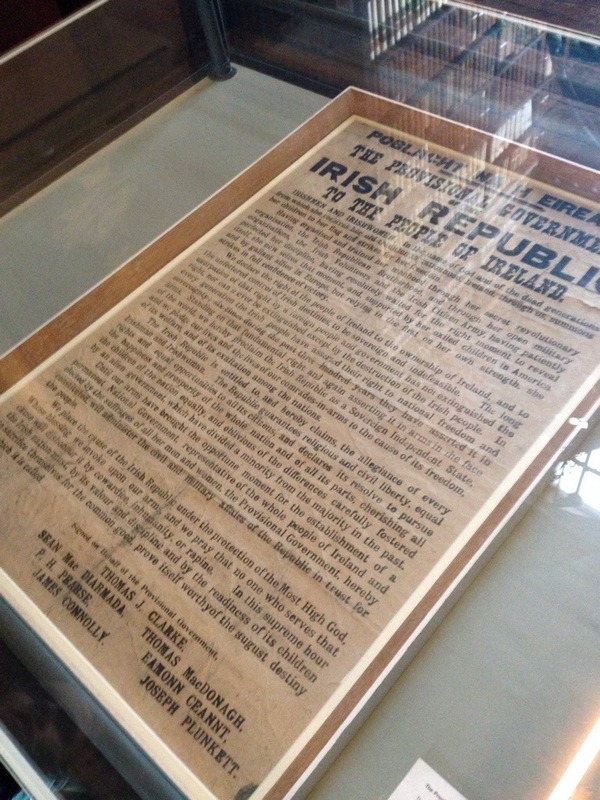 It was there that Mr. Finnigan exlored the political and religious divisions here while invoking William of Orange and his father-in-law James the II, the hoi palloi, the Protestant ascendancy, and, eventually, Bill Clinton and the peace process in Northern Ireland. Certainly well worth our time. 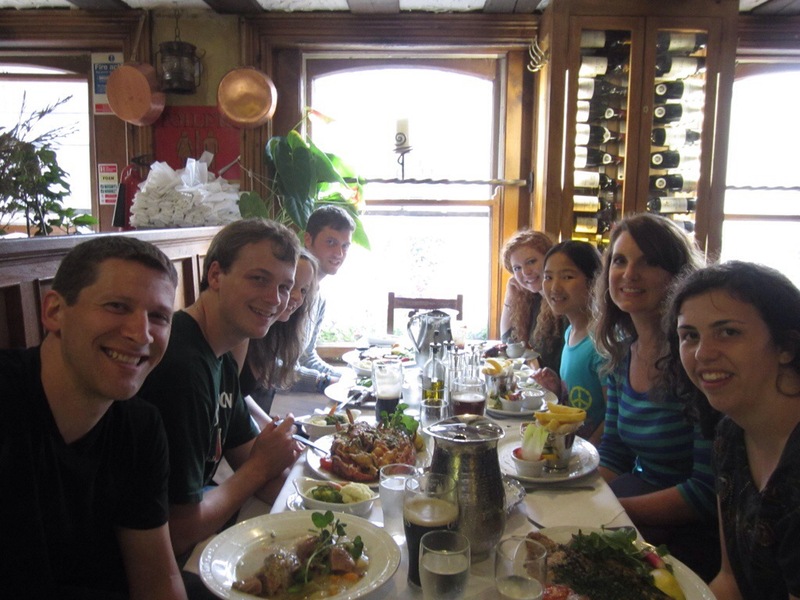 We wrapped up our day at Oliver St. John Gogarty where Jamieson impressed us all with his ability to down copious amounts of food! All in all, a great day. Thanks for the updates! 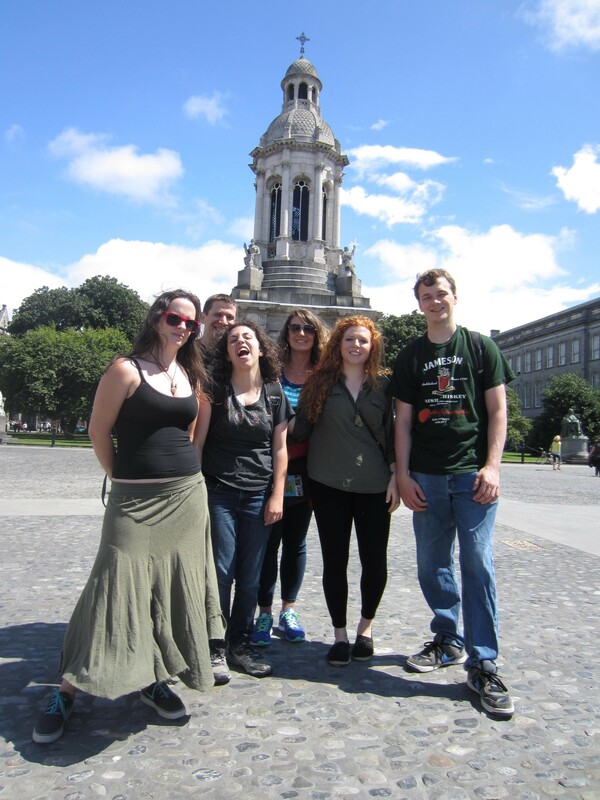 I am looking forward to hearing about how our students will be serving while in Ireland.